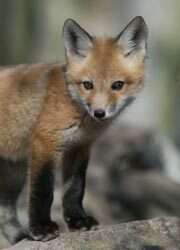 Wildlife conservation in Pennsylvania is a true success story. Our citizens are blessed with 480 species of birds and mammals. There are over 100 nesting bald eagles in the state. Black bear are healthy and expanding their range. White tail deer are abundant and healthy. Elk are thriving in the north central region of the state. Bobcat, fishers, and river otters are reproducing and providing recreation for many outdoor enthusiasts. Game lands are home to uncommon bird species, such as Henslow's sparrow, great egret, black cap night heron and Cerulean warbler. 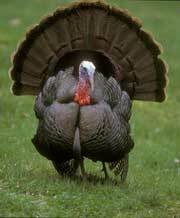 The Eastern wild turkey is now found in just about every county. This has not always been the case. Pennsylvania's approach to wildlife management was uncomplicated in the 1700s and 1800s. There were no hunting seasons or bag limits. It was up to the people to decide how and when to take game. Residents often depended upon wildlife for income and table fare. There was a price to pay for this loose form of management. When the Game Commission was founded in 1895, many hunters and trappers were concerned that species were being over hunted. In subsequent decades, many environmental problems created concern for dwindling numbers of birds and mammals in the state. Some species, such as the passenger pigeon, were lost forever. Elk were now extinct, along with wolves, mountain lions, fishers, martens, beavers. Many species were near extinction but were found scattered around the state. The Pennsylvania Game Commission and the many partners who support its mission is the reason why Pennsylvania has such diverse wildlife. Complicating the situation that affected wildlife were pollution from mining, waste from factories, and raw sewage that was untreated and dumped into rivers and streams. Large clear cutting timber operations stripped mountainsides of their vegetation creating erosion and created floods across the state. In 1894, a year before the state legislature created the Pennsylvania Game Commission, no animals, with the exception of a few songbirds, received complete protection. Wildlife was sold in markets and served in restaurants. Deer were shot over salt blocks, and jack lighted, wild turkeys and grouse were shot at night while roosting. Waterfowl was harvested during spring breeding season. Bears were shot while hibernating, and many song birds were shot for spaghetti sauce. On June 25, 1895, Governor Hastings signed a law creating the Pennsylvania Board of Game Commissioners. The Game Commission was created too late to help some species. But there was still hope for others, such as the bear, white-tailed deer, and wild turkeys, three of the state's most popular game species. Their numbers were at their lowest population levels ever, and would require protection if they were to survive. To restore wildlife, the Game Commission pressed for restrictive hunting laws, designed to safeguard what wildlife was left and provide it with a better opportunity to recover. The effort was bolstered by hiring law enforcement officers. Around 1900, the Game Commission estimated that only about 500 whitetail deer remained in the state. The commission began stocking deer in 1906 and continued through the 1920s. Today, deer have adapted well and thrive through out the state. Other species, such as elk and beavers were extirpated from the state, and bear were not far behind. 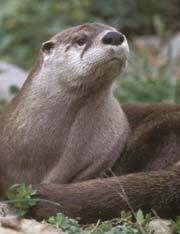 The commission began stocking Elk and beaver, and began to aggressively protect and manage these species. Today we have hunting and trapping seasons for all these species. In 1936 the Game Commission established a training school in Brockway for its conservation officers. This was the first training school established in United States for conservation officers. Today the Ross Leffer School of Conservation in Harrisburg serves as the training school for all our Wildlife Conservation Officers and their deputies. Officers not only enforce laws, but they play a significant role in education, wildlife research, hunter/trapper training. The agency was learning what worked and what didn't in wildlife management. It learned that releasing Mexican bobwhite quail, Midwestern cottontails, Hungarian partridges, and sharp tailed grouse were in vain. Stocking pen raised turkeys, ducks, and quail did not work either. Over its first century of operation, the Game Commission has successfully restored populations of white-tail deer, turkeys, black bears, bob cats, river otters, wood ducks, geese, and reintroduced beavers, fishers, and elk. Species threatened by extinction such as bald eagles, peregrine falcons and ospreys are doing quite well today. Not all wildlife conservation in the state is successful. Pennsylvania is rapidly losing thousands of acres of prime habitat to development. Bobwhite quail, woodcock, ruffed grouse, and many grassland species of birds are declining. Wild ring neck pheasants are no longer common. Land Mangers, along with food and cover employees and foresters, work together to create habitat for all wildlife. The agency and the many partners who support its mission is the reason why Pennsylvania has such diverse wildlife. Wildlife management has come a long way since 1895, and with each passing year, becomes more involved. With people migrating out of the cities and into rural areas, this has created new challenges for wildlife. Without adequate funds, wildlife mangers in Pennsylvania cannot conduct the needed research to find out how birds and mammals can be conserved. Land managers cannot protect and restore critical habitat that wildlife needs to survive. Hunters and trappers along with other conservationists will be unable to preserve land for the future to benefit wildlife. The Game Commission and its partners, who care about wildlife, strive to create habitat for wildlife. We all recognize that wildlife will always need help and the need for assistance will continue to grow. Given that mounting dependency, it quickly becomes obvious that the mission is always growing, and its duties mandated and inherited are growing. As inflation and rising energy and employee costs force the agency to prioritize more, the agency will be forced to cut programs and operations. This is why the work of the Wildlife for Everyone Foundation is crucial. It offers a chance for people who care about wildlife to help make a difference. So if you would like to make a difference, please consider making a donation of any amount to the Foundation. Remember wildlife can never have too many friends.